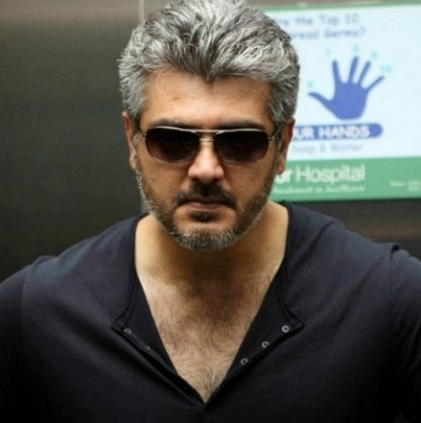 THALA AJITH’S NEXT FILM CONFIRMED! Ajith Kumar’s Vedalam is turning out to be an extremely fruitful film for the makers. It sure has laid a solid foundation with a staggering initial 2 days collection. Now here we have another interesting news for all the Thala fans out there. Yes! it’s the update about Ajith’s 57th film. According to our sources, Ajith will be apparently teaming up with director Siva yet again after Veeram and Vedalam. We hear that this film will officially kick start after Tamil New Year (2016) with the traditional Pooja and the shooting is expected to begin in the month of June. Ajith 57 will ostensibly be another Diwali treat for Thala fans as the film is expected to release for Diwali 2016. How excited are you with this combo? Exclusive: Tamannaah picks Vijay's producer! People looking for online information on Ajith, Ajith Kumar, Siruthai Siva, Thala 57 will find this news story useful.